We strongly believe that open software breeds innovation. Creating the perfect contact centre platform for everyone is virtually impossible. This is why CTArchitect is a completely open platform on all four levels. Our solutions are based on Microsoft SQL Server technology, but our database is completely open. Extensive documentation is available, making it easier for you to integrate your applications on top of our DB layer. It’s possible to integrate CTArchitect on top of existing telephony environments, such as PBX and gateways. We support all common CTI links , as well as integration using SIP trunking. Our server application can be integrated with third party applications by means of a set of API's. This means it is possible to build your own web applications and portals based on live contact centre data by using the newest web technology. Finally, our agent application can be integrated with third party inbound software such as CRM/ERP software. The same goes for outbound agent software: You are not limited to our own CTScript application. You already guessed it: we created an API for this as well. 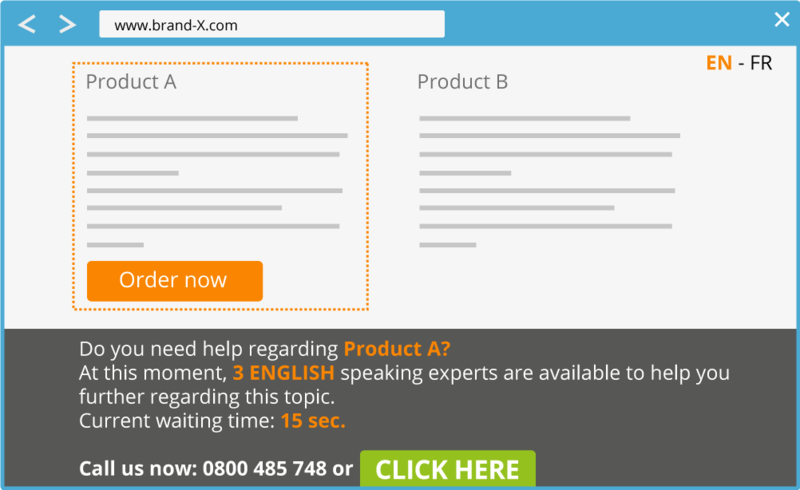 Integrate your contact centre with your company website, and show live contact centre information on your website. 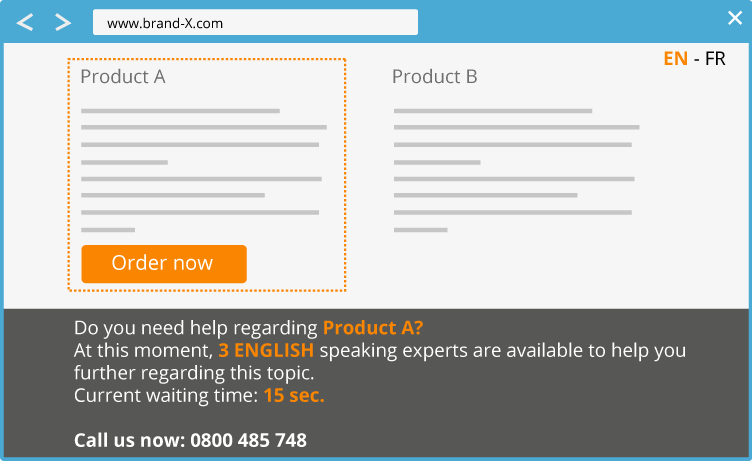 Thanks to our CTArchitect API, your team skills can be matched to your website sections: if someone is visiting the English language version, and is looking up info on Product A – why not show him/her that 3 English-speaking experts regarding product A will become available within 15 seconds? Your customers will surely love the transparency. Or go even further: integrate WebRTC technology into your contact centre. WebRTC is a new voice-and video calling technology, developed by Google and directly integrated into the browser. 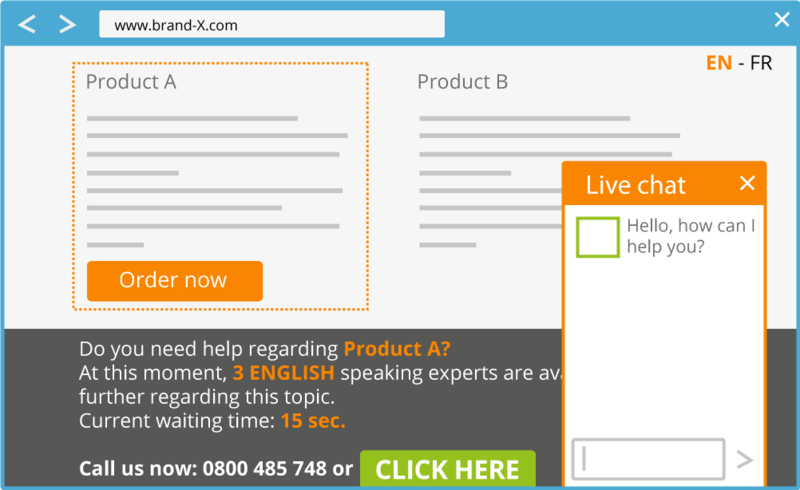 Clicking on a green “click here to call us” button on your website immediately sets up a call with your customer service department using a device’s (laptop, tablet,…) microphone and speakers – no plugins needed whatsoever! The result? A lower threshold to contact you (a problem with younger demographics) will hopefully result in more solved problems – or better sales! We partnered with multichannel innovator Smartconnect, and integrated their technology with our core offering. This way, we can integrate chat functionality in your contact centre, but can also collect smartphone data and match them with a caller ID. Let's illustrate how smartphone data can improve call resolution times and customer satisfaction with a practical example: your car breaks down, so you contact road assistance. 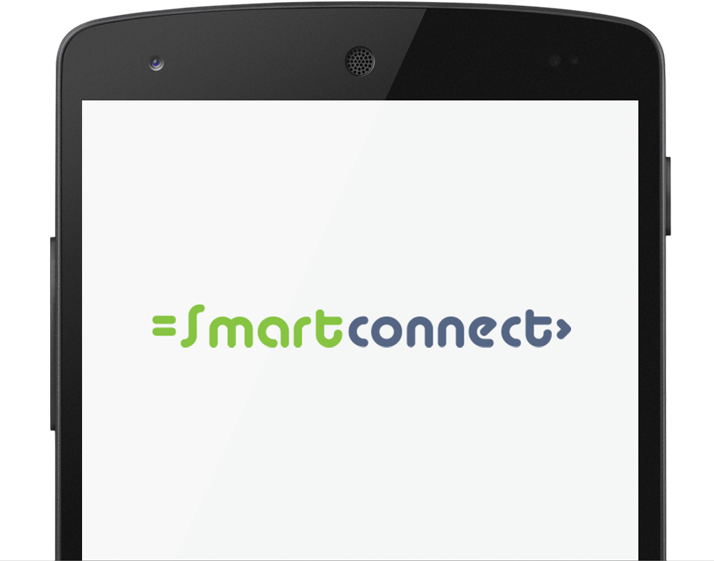 Thanks to Smartconnect, you can transfer a picture from your dashboard – along with your GPS coordinates – towards the contact centre, eliminating the need to try and explain the nature of the technical problem, or where you are located. Even better: by integrating the technology into your apps or mobile websites, you can hide traditional IVR options behind app instructions or menus!